Jill Felber has been hailed for her "beautifully finished performances" by The Detroit News and has been praised by Musical America for her "handsome performance." The British journal PAN writes, "Felber was stunning... not only refined but also full of fun." "The incredible flutist...the dazzling flutist...the radiant flutist Jill Felber" (Santa Barbara Independent), who is known to excite audiences everywhere in concerts and recitals, "played with flair" (Los Angeles Times). 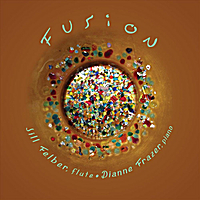 "The outstanding American flutist Jill Felber" (Gazeta Rybnicka, Poland) is acclaimed worldwide for her "consummate musicianship" (Fanfare). 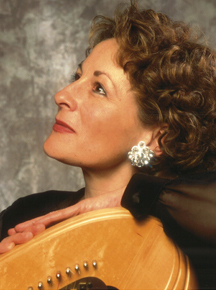 Ms. Felber has performed solo recitals, chamber music, and concertos on five continents and has held residencies in Brazil, Hong Kong, Taiwan, Australia, Mexico, France, Switzerland, Great Britain, Italy, Canada and the United States. Also a tireless promoter of new music, Ms. Felber has inspired many composers to write solo and chamber works for her and for her flute duo ZAWA!, and is currently engaged in several commissioning projects. She has premiered over four hundred works for the flute and has released world premiere recordings for Centaur Records, CRI, Neuma Records, and ZAWA! MUSIC. In demand as a guest clinician because of her extraordinary motivational teaching style, Ms. Felber is currently Professor of Flute at UC Santa Barbara. Holding degrees from University of Michigan and Bowling Green State University, Ms. Felber has taught on the faculties of Ohio University, Capital University, and Wright State University. Her teachers include Keith Bryan, Judith Bentley, Samuel Baron, and James Galway. Dianne is on the faculty at Louisiana State University, is a principal pianist for the National Flute Association, International Society of Bassists, World Bass Festival in Poland, the MTNA Southern Division, the Florida Flute Association, and has performed at the Oberstdorf Music Festival in Germany, ISI Florence in Italy, Bradetich International Double Bass Competition, International Hornists Society, International Trumpet Guild, North American Saxophone Alliance, International Clarinet Association, International Tuba Euphonium conventions, and numerous state and regional festivals. 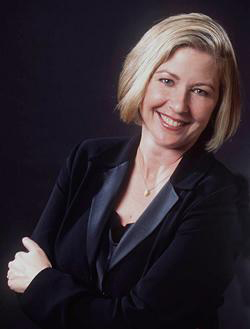 Dianne holds two performance degrees, was a two-time Fischoff finalist, and was an adjudicator for the prestigious Dranoff International Two Piano Competition. "We took a classical melody and fused it with a non-classical melody to create a bond of two pieces that would be moving and powerful. Enjoy our creations that are performed and arranged by us. May the music bring healing and comfort to your lives." Heidi Lehwalder, harpist, has performed as guest artist with more than 65 orchestras throughout the United States and Canada, including the New York Philharmonic, The Cleveland Orchestra, the Atlanta Symphony, the Montreal Symphony, the St. Paul Chamber Orchestra, and the Los Angeles Chamber Orchestra, as well as with the symphonies of Phoenix, Buffalo, Louisville, Wichita, Savanna, Syracuse, and Honolulu. She has made 55 appearances as soloist with the Seattle Symphony and has collaborated with conductors Leonard Bernstein, Claudio Abbado, Erich Leinsdorf, Arthur Fiedler, Gerard Schwarz, Lucas Foss, Andre Kostelanetz, Dennis Russell Davies, and Charles Dutoit. Her recent performances included a 10-city tour with The Chamber Music Society of Lincoln Center, and two performances at Alice Tully Hall in New York City. An esteemed chamber musician, Lehwalder has performed in numerous concerts with The Chamber Music Society of Lincoln Center from 1972 to the present. She has participated in the Mostly Mozart, Caramoor, Santa Fe, and Spoleto Festivals. Lehwalder is the only harpist ever to be invited to tour with Rudolf Serkin’s famed Music from Marlboro. During the summer of 1987, she served as Professor of Harp in Korea’s First International Chamber Music Festival. As a member of the Orpheus Trio, she toured for eight years throughout North America and Europe with flutist Paula Robison and violist Scott Nickrenz. She has also toured extensively with flutist Carol Wincenc. Lehwalder is the Founder and was the Artistic Director of the Fredericksburg Festival of the Arts, which has been nationally broadcast on Classical WETA 90.9 FM in Washington, DC for 17 years. 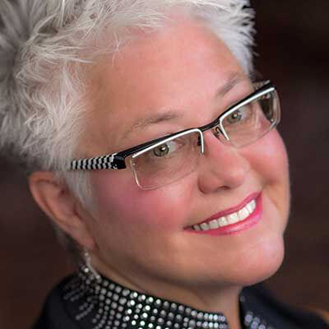 She also has served as Artistic Director of Belle Arte Concerts in Seattle and as Artistic Administrator of the Seattle International Music Festival. Lehwalder was Professor of Harp at the College of William and Mary and the University of Virginia from 2003 to 2006. From 2007 to 2011 Lehwalder served as Professor of Harp at The School of Music at the University of Washington. While teaching there, she created an enormously popular chamber music course which incorporated coaching all instrumentalists, culminating in three performances open to the public each year. She has given numerous master classes throughout the United States including The Juilliard School of Music, The Curtis Institute of Music, The Manhattan School of Music, and Boston University. Ms. Lehwalder has recently moved to the Los Angeles area, where she will expand her teaching both privately and by conducting master classes. She also looks forward to collaborating with young harpists and other instrumentalists teaching them the fine art of chamber music. Visit Heidi Lehwalder's website for more information.